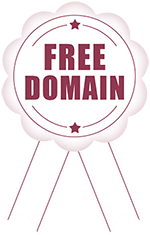 Register a Domain FREE For LifetimeOne free Domain (.com) with purchase of every new Value and Unlimited plan for 1/2/3 years. Domain will be free till the web hosting plan remains in active status..
MilesWeb is a world class hosting provider that provides web hosting solutions of all types.  Our captivating web hosting platforms are fully capable of supporting you for managing your websites in a way that will save your time and money. We believe in offering nothing but the best when it comes to service and server performance. Get web hosting solutions that are simple, powerful and reliable. Check our Live cPanel Demo. We provide you all the best web hosting features in UAE that others are missing. Backups are an insurance for your web hosting account. Secure your website files, folders, databases & emails online at an affordable cost. Opt for our Website backup service and let us take care of your data. Quickly restore lost or corrupt files directly to your account. Protect your inbox from malware, spam and viruses with SpamExperts incoming email spam filter solution. SpamExperts adds a strong layer of filter on the incoming emails and also offers email redundancy. Complete Website Security with SiteLock. Protect against malware, guard against hacker attacks, identity thefts, other vulnerabilities and threats with routine scans. SiteLock badge on your website lets your customers know your site is trustworthy and secure. Google Webmaster tools provides statistics, diagnostics and management of Google's indexing of your website. This service also includes Sitemap submission and reporting of your website. Are you in search of a powerful tool, which can help monitor your website traffic and statistics? Look no further than Google Analytics. We help you with its integration so you can discover your best referrals, keywords, top content and boost your traffic. A web hosting platform enables you to publish your website over the world wide web for everyone to view and browse by just typing in your domain name. All you have to do is sign-up for a suitable web hosting package depending upon the size of your website and upload its pages after the hosting package is setup. What can I do with a web hosting account? You can host any type of website you wish to. Websites can be broadly classified into two main types, Business & Personal websites. At MilesWeb, we offer hosting solutions for all types of personal or business websites, hobby sites, blogs, small, medium and large eCommerce stores or corporate websites. We even help you choose the right hosting package if you are unsure of which one to choose. Yes, that's right! As long as you comply with the unlimited hosting policy you don't have to worry about anything. Do I need to possess any technical knowledge for hosting a website? Not at all! All you need to know is what kind of website and hosting you may need and MilesWeb will take care of all the other aspects for you. If you are hosting a website for the first time and unsure of the hosting package to choose, you can contact our 24x7 team anytime and we will guide you with a suitable solution. We provide feature rich, user-friendly control panels as a part of our hosting packages that enable you to host and manage websites easily. You can also refer to our regularly updated knowledgebase to gain more knowledge about web hosting terminologies. With MilesWeb there is nothing to worry about as we make things easier for you! Once you have placed the order and made the payment for the domain name / web hosting account, the setup will be initiated right away. You will recieve all account information through email after setup is completed. How can I contact MilesWeb in case of any query or assistance required? We provide 24x7 uninterrupted customer support through live chat, email and tickets. You can reach us through any of these mediums and talk to us. Every customer is important to us and we assure you that prompt assistance/appropriate solution will be provided whenever required. Can you help me transfer my website from another web hosting company? Can I buy a web hosting package without a domain name? Yes you can. You can buy any web hosting package through MilesWeb to use with an already registered domain name. You can also register only domain names with us. I already own a domain name, can I use it with the new web hosting account? Yes you can. Even if you have your domains already registered elsewhere, you can sign up for any web hosting package with us to host them. I am being offered free domain name but I don’t want them, what do I do? If you do not want a free domain, you do not have to do anything, you can simply choose not to use them. A sub-domain adds the next level to your domain name. For instance, we own the main domain name – www.milesweb.com and our sub-domains are – tutorials.milesweb.com and affiliates.milesweb.com. Similarly, you can create sub-domains that point to different websites or different sub divisions of your website like a blog, forum or a support page. You can create as many sub domains as you want with any of the web hosting packages you purchase from MilesWeb. A domain pointer allows you to point multiple domain names to a single website. In other words, you can upload, host and manage more than one website through a single web hosting package. Which operating system should I select for my web hosting account? Depending upon your website requirements or preferences, you can host your website either on Linux or Windows based web hosting. Both the operating systems have their own set of pros and cons and both of these server platforms are quite capable in terms of controlling the basic functionalities of your web hosting account. Your server operating system choice should not necessarily depend upon the operating system present on your home/business personal computer. The operating system that you select should be based on your website requirements. Most of the website owners prefer using Linux based web hosting and if you are not sure about which hosting platform to opt for, then opting for Linux is a smart choice. However, if your website requires Microsoft technologies like Microsoft SQL or ASP.NET, then you must opt for the Windows server based web hosting. Is it necessary for me to maintain separate backups of my own data? Although we take all the necessary precautions for safeguarding your data, we recommend you to also maintain offsite backups of your website data to be on a safer side. Backups are important because they protect your systems against the risk of failure of systems or against the issues that may be caused as a result of the changes made. Can I install applications on my web hosting account? Yes you can. All our cPanel hosting packages are equipped with a wide range of applications that you can choose to install from through Softaculous within cPanel control panel. If your desired application is not available as ready to install within Softaculous, you can install it on your own as long as the installation requirements of the applications are in sync with your web hosting package specifications. How secure is MilesWeb hosting? Can I count on you? We undertake every possible security measure to protect our systems from hacks, attacks, crashes, hardware malfunctions and any other kind of threats. All the servers are housed in our highly secure and fully equipped data center facility. Access to the servers is strictly kept under control and it is limited only to the concerned personnel. We deploy multiple layers of protection so that no malicious activities can harm your website. We also have real-time monitoring enabled for our servers and we take timely backups of your website data on a regular basis to ensure you can have complete peace of mind with MilesWeb hosting. You can sign up for any hosting package on monthly, quarterly, semi-annual, annual or biennial contract depending upon your preference however you will not be bound by any minimum contract period. It’s your call! If you do not wish to use or renew the domain names after cancellation of web hosting package, you can let them expire. However, if you want to keep the domain names even after cancelling the web hosting package, you can continue using them by paying the standard domain renewal charges. Web Hosting at just AED2.83/mo.